Created by Barry LaFond on Jan 19, 2009 3:07 PM. Last modified by Barry LaFond on Sep 7, 2017 10:29 AM. Teiid Designer is a visual tool that enables rapid, model-driven definition, integration, management and testing of data services without programming using the Teiid runtime framework. 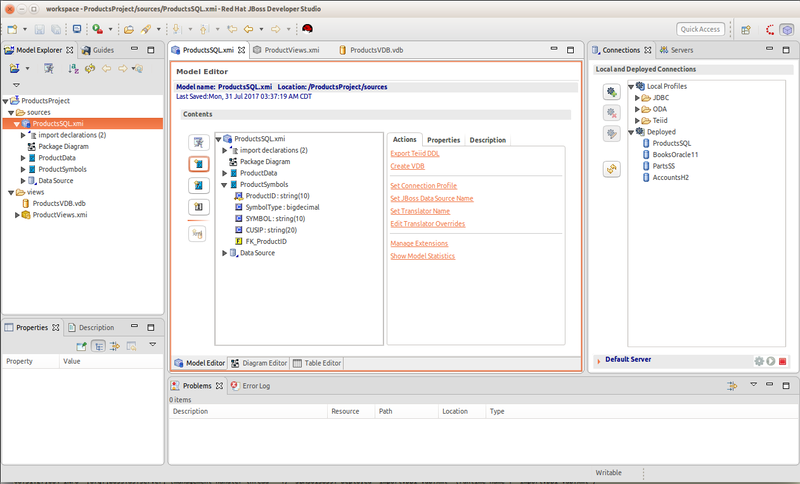 It was developed in Java using Eclipse and the latest version is available for download and installation into your Eclipse IDE. To provide an organizational framework and community forum to support the continued development and improvement of Teiid Designer.